Dak Nong Province is located on Central Highlands. It is surrounded by Dak Lak Province on the north, Lam Dong Province on the east and south-east, Binh Phuoc Province and Cambodia on the west. Dak Nong Province is located on Central Highlands. It is surrounded by Dak Lak Province on the north, Lam Dong Province on the east and south-east, Binh Phuoc Province and Cambodia on the west. Dak Nong has even and flat terrain with vast plain and plenty of grasslands on the east. The south is flood plain with many lakes and lagoons. There are main rivers such as Ba, Serepok, other small rivers, and high waterfalls. Anyone who has ever had a time to Dak Nong in Central Highland will never forget wild beauty, majestic mountains and waterfalls, natural lakes and especially a great cultural treasure and distinctions of ethnic minorities in here. From Ho Chi Minh City, follow Nation Highway 14, go northwest approximately 230 km, you will reach Gia Nghia town which is the central of Dak Nong province. Four towns are embraced by green mountains, fresh air and cool weather. From Gia Nghia to a near area, visitors will be immersed in the poetic beauty of the Fairy waterfall, Lieng Nung waterfall and explore brocade work of ethnic minorities. The nature has bestowed many beautiful waterfalls on Dak Nong. 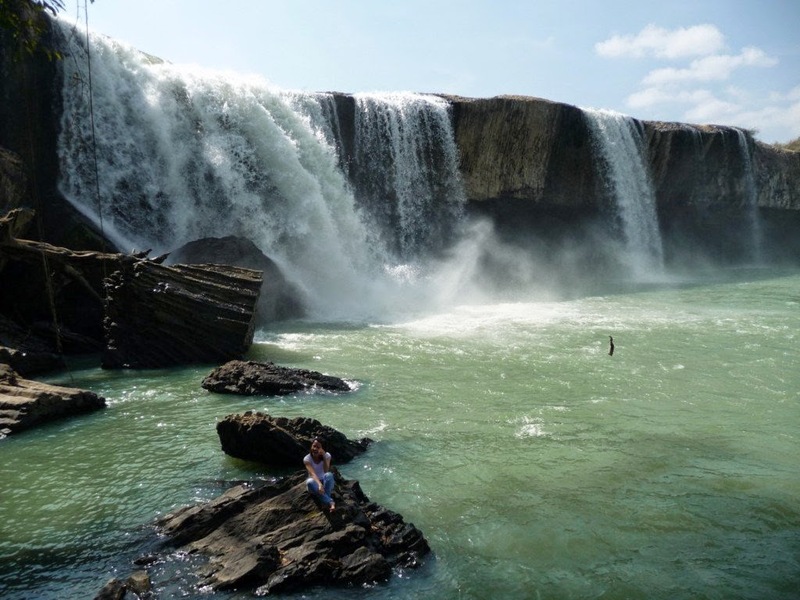 In fact, Dak Nong has 16 imposing waterfalls such as Dray Sap, Gia Long, Trinh Nu, Co Tien, Lieng Nung, Len Gun, Dieu Thanh, Huong Giang and Luu Ly. Each waterfall hides a legendary story that each one coming here wants to explore. The road to Dray Sap waterfall runs very meanderingly among a canopy of leaves of primeval forest, you will find cool moss rocks under your feet. The waterfall flows throughout the year. It looks like a water wall in the dim space. According to Ede language, “Dray Sap ” means “Smoke Waterfall “. This is a beautiful landscape formed by two rivers Krong No and Krong A Na that Ede and Mnong people call the Husband River and Wife River. Not far Dray Sap waterfall, Gia Long waterfall is so quiet that visitors only hear the murmur of water and the sound of birds echoing. This waterfall was named after Gia Long who reigned in Nguyen Dynasty (19th century). At that time, the king used to come here to take a rest and contemplate. Along with the waterfall system, Dak Nong has many unspoiled natural lake located in the mountains combined with the nature reserves as Nam Nung and Ta Dung forming attractive eco-tourism routes. For example, Ea Sno Lake with the total area of 80 hectares is an amazing natural landscape associated with the folk stories and traditional customs and habits. Coming here, tourists can take a boat to admire pictures of undulating green hills, or go down Dray Sap waterfall, or upstream to Choah village that is a home to Guh Trang tribal chief and Bu Nor where Trang Long tribal chief lived. The two chiefs led Mnong people to revolt against French colonists and protected Central Highland Mountains. In addition to the potential of natural resources, Dak Nong is also known as the home of epic, gong and legendary stories. Dak Nong province is located in the Space of Gong Culture in Vietnam Highlands recognized by UNESCO as Masterpiece of the Intangible Heritage of Humanity. 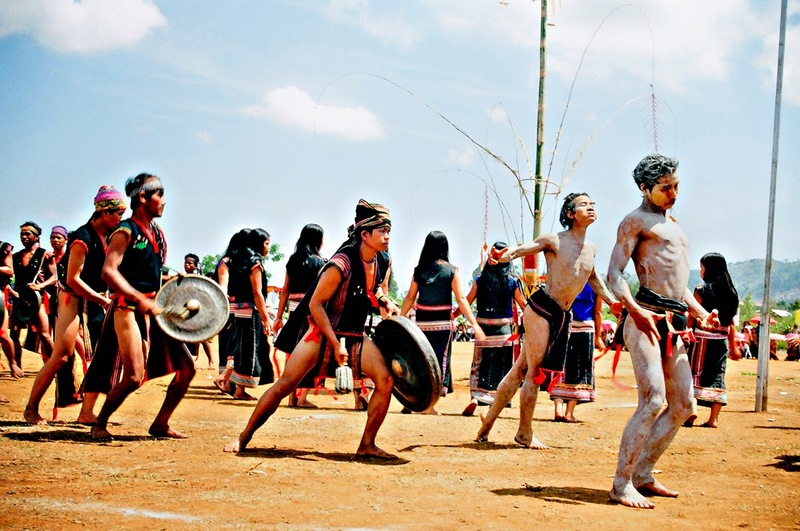 Mnong people in Dak Nong still preserve nearly 20 gong ancient tracks. Traveling to Dak Nong in the festive season, visitors will have an opportunity to enjoy drinking jars of wine with villagers, immerse in the sound of gongs, listen to village patriarchs’ songs and stories and eat delicious mountain specialties. According to Dak Nong Tourism – Trade – Investment Promotion Center, people are implementing 15 eco-tourism projects combined with resorts riverside Serepok and in many waterfalls and lakes. Natural resources and culture of Dak Nong look like as rough gem. It needs to be invested and exploited. So hopefully in the near future, Dak Nong will develop and become a rich land in Vietnam Highlands.